A memorial is growing outside an East San Jose liquor store whose owner was shot dead by an apparent robbery suspect who is still at large, according to police and the victim's brother. 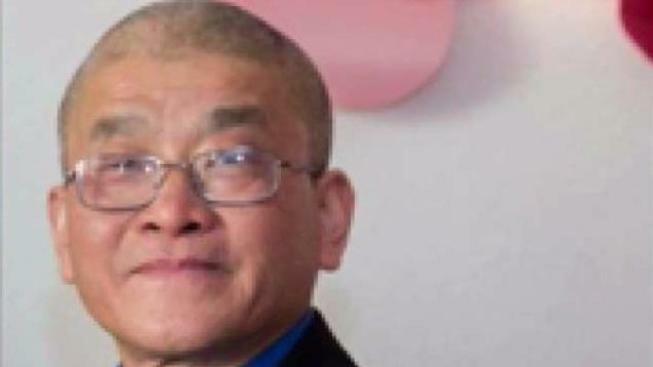 Hieu "Charlie" Ly, who is the father of four sons, was with his wife at the store located along the 2800 block of Quimby Road when he was confronted by the suspect and shot just before 11 p.m., according to police and the victim's brother, Hao Ly. "He's a good man," Hao Ly said about his brother, holding back tears. An attempted robbery in San Jose Monday night morphed into a homicide investigation after a person was shot and killed, according to police. Kris Sanchez reports. 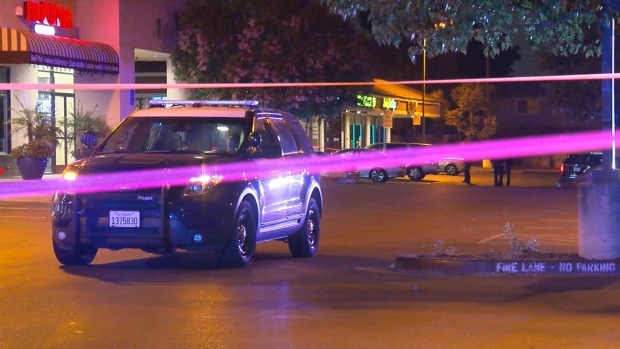 Hieu Ly had just finished eating dinner and was resting on the floor of the store, which he has owned for at least 10 years, when the gun-toting, mask-wearing suspect walked in and demanded money, according to the victim's brother. When Hieu Ly heard the suspect's demands, he stood up and refused to hand over any money, according to his brother. The suspect proceeded to shoot Hieu Ly in the chest, in front of his wife. "My brother, he said, 'No," said Hao Ly. "He stand up and he said, 'No,' and the guy shot him in the chest." Responding officers found Hieu Ly suffering from at least one gunshot wound, according to police. He was pronounced dead at the scene. Neighbor Lesley Davis wasn't surprised to hear that Hieu Ly resisted. "(He was) not going to back down at all and when I heard he wasn't going to open the register, I said, 'Yep, that's Pops,'" Davis said. "That's the way he would be." Pointing to a so-called "Wall of Shame" that Hieu Ly had created, Davis called the man "tough as nails" despite being the "littlest thing in the world." "When you stole out of the store, he would put your picture up here and you weren't allowed back into the store," Davis said. Others in the neighborhood are also mourning Hieu Ly's death. "It's a big loss for the community," said neighbor Sukh Ber Singh. "He was well known with a lot of people around here and he was a respected man." Police said they have yet to locate the suspect at this time. A motive for the shooting is not yet known, according to police.